By entering religion and taking my vows I have given myself over absolutely to God and His service. He, therefore, has a right to be served in the way He wishes. If then He asks me to enter on a hard, mortified life and spend myself working for Him, how can I resist His will and desire? What is God asking from me now? Shall I go back on that offering? COMMENT: The principle that we should serve God as he wishes and without reserve is not only confined to religious – it applies to lay people as well. However, for lay people it will normally involve doing our duties well rather than “going” somewhere else as it might with a religious. 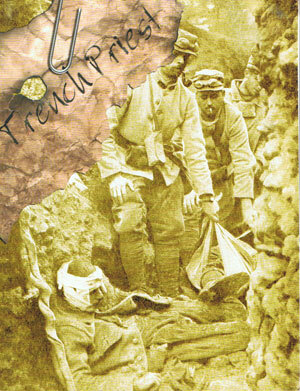 Fr Doyle lived this total dedication in the trenches, going far out of his “comfort zone” to serve God. Today’s saint, Raymond of Nonnatus, also gave himself completely to God. He was a Mercardian priest from the 13th century. The apostolate of this order was to ransom slaves captured by the Moors. 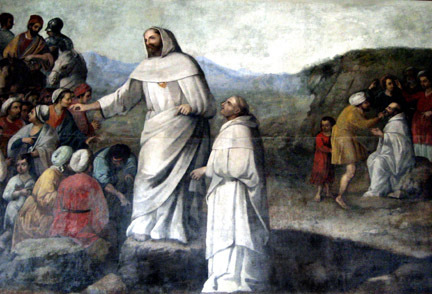 He raised much money for this apostolate, and when the money ran out, he offered himself in exchange for some slaves. Tradition tells us that his captives made holes in his lips and locked them together to stop him from preaching. His example and intercession is clearly relevant for us today. 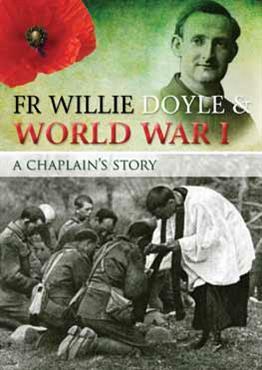 We are unlikely to be asked to live in trenches with soldiers like Fr Doyle or to offer ourselves as a ransom to free slaves like St Raymond Nonnatus. This is all the more reason why we should live our relatively safe and simple daily lives with complete generosity. Why are we not saints? Want of courage and want of patience. We give up, we have not the strength of will and determination to succeed which the saints had. Another point is that our notion of sanctity is adding on, instead of making perfect what we already do. COMMENT: There are two points worth considering in today’s quote from Fr Doyle. Firstly is the fact that we are not saints, that we are not holy, because we do not want it enough or have not the courage to strive for sanctity. Sanctity does not mean have great mystical experiences or being able to heal people or perform miracles. It means living the virtues heroically, and this capacity is always within our reach if we trust in God’s mercy and follow the means he has given us. For sure, reaching holiness is a lifelong task and not something we achieve in one day. Indeed, at one level it is not even something WE achieve, for holiness comes about through God’s operation in our soul. Our task is to get out of the way, to identify the obstacles to God’s grace and remove them, and to co-operate with the grace that God gives us. Expressed in terms of the teaching of Blessed Columba Marmion (who ultimately derived it from the teaching of St Paul), we must put sin to death in our lives, so that we can live for God. I recently heard a homily in which the priest said that we are not saints because God has not given us the particular grace to be saints, and He has not given us that grace because we have not been faithful to the graces that he already gave us. Why would God give us special graces if we have squandered the ones already given to us? There is much to think about here. The important thing is that we begin, and keep striving. 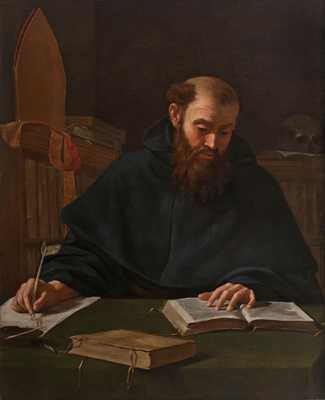 Many saints, including St Ignatius, were motivated to strive for sanctity by the thought that other ordinary men and women had become saints, and if they could do it, then so could Ignatius. Perhaps more interestingly, Fr Doyle points out that holiness is not adding on, but making perfect what we already do. This of course presumes that we are already living a stable Catholic life. We do not have to go anywhere to become saints, we do not have to wait for the ideal circumstances to become saints (these ideal circumstances do not exists anyway). By doing our duties perfectly we will have achieved a high degree of holiness. Fr Doyle once again shows himself to be an excellent guide for ordinary lay people in the world. According to some liturgical calendars, today is the feast of St Margaret Clitherow, St Margaret Ward and St Anne Line, three English martyrs who were tortured and killed on different occasions during the Elizabethan persecution of the Church. Their crimes? To give shelter to hunted priests. These three brave women martyrs sacrificed their lives to preserve the Faith and the priesthood in their land. May we learn from their example. We had the misfortune to lose our chaplain, Fr. Doyle, the other day. He was a real saint and would never leave his men, and it was really marvellous to see him burying dead soldiers under terrible shell fire. 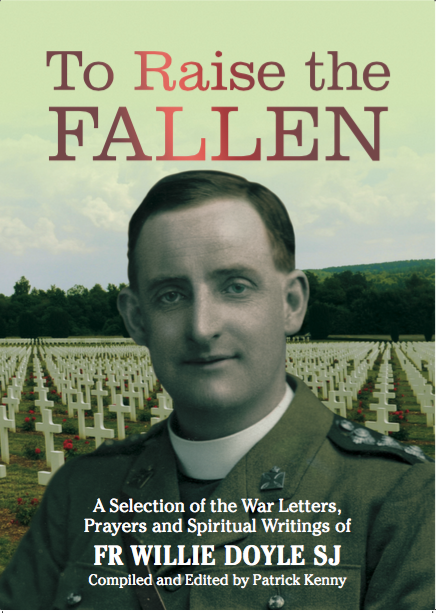 He did not know what fear was, and everybody in the battalion, Catholic and Protestant alike, idolised him. I went to Confession to him and received Holy Communion from him a day or two before he was killed, and I feel terribly sorry after him. He loved the men and spent every hour of his time looking after them, and when we were having a fairly hot time in the trenches he would bring us up boxes of cigarettes and cheer us up. The men would do anything he asked them, and I am sure we will never get another padre like him. Everybody says that he has earned the V.C. many times over, and I can vouch for it myself from what I have seen him do many a time. He was asked not to go into action with the battalion, but he would not stop behind, and I am confident that no braver or holier man ever fell in battle than he. There is one thing we need never be afraid of, namely, that the devil will ever tempt us to be humble. He may delude us in the practice of other virtues; indiscreet zeal, for instance, or the desire to devote our time solely to prayer. But we need never be in doubt as to whether it would be better to humble ourselves or not. There can be no doubt about it. It is always safe to do so. COMMENT: Fr Doyle makes a very important point in today’s quote which we can easily overlook when focusing on the main theme of humility. Sometimes, good people can be tempted to devote their time solely to prayer. Of course, a more common temptation today is to devote no time to prayer, but the temptation to “overdo it” can still present itself. By this, Fr Doyle clearly means that we have to have regard to our duties in life. A student who spends hours in the chapel, but avoids the library, or a husband who spends all his spare time in prayer or even apostolic works whilst ignoring his professional obligations and the needs of his family, can both easily fool themselves that they are behaving well. But in reality they are avoiding the work God intends for them perhaps through laziness or perhaps through an imprudent pursuit of spiritual consolations. Fr Doyle’s more substantive point today relates to humility. 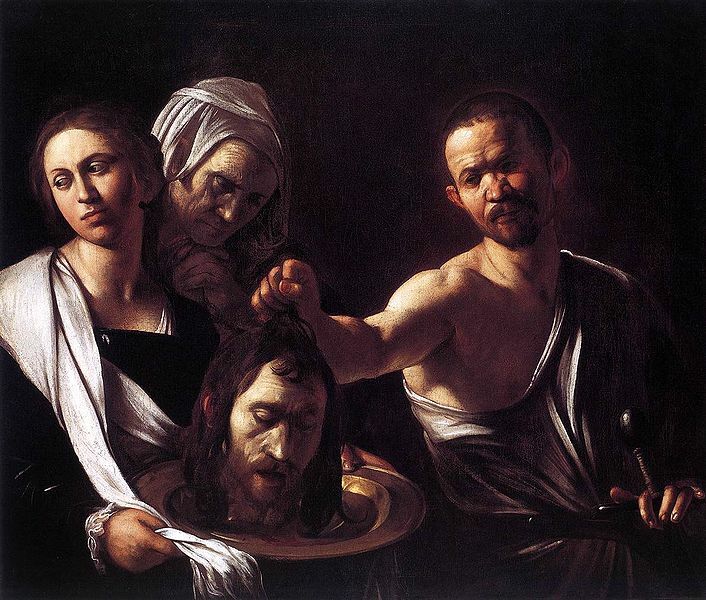 Recalling the importance of humility is very apt today, the feast of the Beheading of St John the Baptist, for St John always pointed to Christ and recognised his own unworthiness to even tie His sandals. St John has two feasts in the Church calendar – his birth and his beheading. There are very few who are recognised by the universal Church in this way. This is an acknowledgement of St John’s greatness and thus we may take him as a trustworthy model, especially in terms of his detachment from the world, his zeal for souls, his dedication to the truth, and his humility before Christ. The feast of John’s beheading, and the circumstances that surrounded it, are also a timely reminder that the disciples of Christ must remain faithful and not neglect their duty to proclaim the truth in charity in the public square. How many wish to belong entirely to Jesus without reserve or restriction? Most want to serve two masters, to be under two standards. A union of wordliness and devotion; a perpetual succession of sins and repentance; something given to grace, more to nature; fervour and tepidity by turns. Such is the state of many religious. Obligations are whittled down; rules are interpreted laxly; all kinds of excuses are invented for self-indulgence, health, greater glory of God in the end, etc. No service is so hard as the half-and-half; what is given to God costs more; His yoke is heavy; the cross is dragged, not cheerfully carried; the thought of what is refused to grace causes remorse and sadness; there is no pleasure from the world and little from the service of Christ. COMMENT: This is perhaps an uncharacteristically harsh saying from Fr Doyle. But he seems to be on to something here in his analysis of our half-hearted spirituality, and it is very appropriate for our feast today. St Augustine wanted to serve God, but not yet. He wanted to be good, but did not want to give up his easy going life. Perhaps counter-intuitively to our purely human eyes, it is this half-hearted commitment that is most difficult and that tears us apart. We can recognise this in many aspects of life. Any half-hearted commitment – to work, to relationships, to exercise, to study – makes the task itself so much harder. It is when we give ourselves with full commitment that we prosper and the road seems easier. Jesus said that His yoke was easy and His burden was light. But we have to embrace the yoke and the burden, always knowing that God’s grace is there to help us. So often we can make the mistake of thinking that being fully committed to our faith will make us morose or sad or diminish our personality in some way. But the opposite is the case. 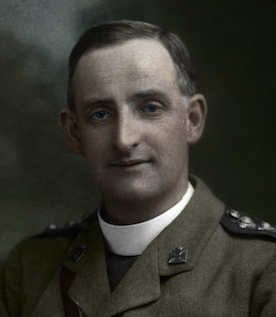 In the life of Fr Doyle, to take just one example, we see a man who did not opt for the half-and-half solution, but who gave himself fully to God. Yet he was also a tremendous practical joker and was a man who was renowned for his kindness and his warm personal qualities, precisely because of his whole-hearted commitment which filled his soul with such joy. His soldiers, tough men as they were, loved him dearly. No dour, plaster saint could win that kind of affection from tough Irish soldiers in the trenches. We were made for God. We should not fear Him. Don’t be stingy in giving praise, particularly with the young. If in a community there is some sister not as edifying as she might be, but who after a retreat makes an effort to rise, be ever the one to encourage and to hold out a helping hand. Many a first attempt has been crushed in the bud by the contemptuous look or sneering remark as to how long it will last. 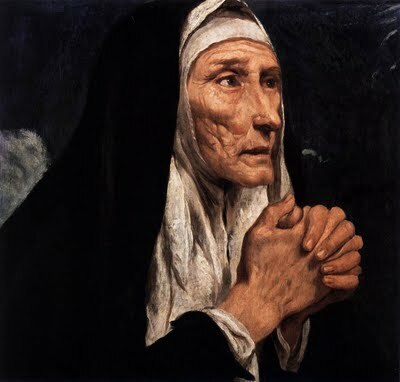 COMMENT: How appropriate Fr Doyle’s advice is today on the feast of St Monica, the mother of St Augustine who prayed so long and so hard for his conversion. Monica was married to a pagan who beat her. She cultivated the virtue of patience, ultimately winning her husband’s conversion before he died. So too with her son Augustine – her prayers and patience had an effect that bitterness or nagging could never have. Like Monica, the early Christians were known for the love they had for one another, and it was this love that helped create the conditions which allowed the Christian faith to spread so far in such a short space of time. 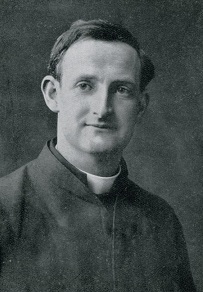 Fr Doyle, too, was known for his gentleness and love towards all, including “outsiders” like the street prostitute Fanny Cranbush and captured German soldiers. As Pope Francis continually emphasises, as Catholics should be known for our gentleness and mercy. Even as a child I longed and prayed to be a saint. But somehow it always seemed to me as if that longing could never be realised, for I felt there was some kind of a barrier like a high wall between myself and God. What it was, I cannot say even now. But recently this obstacle appears to me to have been removed, the way is open, and I feel I love Jesus now as I never did before, or even hoped to. With this comes the conviction, so strong and consoling with so much peace and happiness, that Jesus will grant my heart’s desire before I die. I dare not put on paper what I feel, even if I could; but at times Jesus seems to pour all the grace of His Sacred Heart upon me, until I am intoxicated almost with His love and could cry out with the pain of that sweet wounding. COMMENT: When Fr Doyle refers to a “sweet wounding”, is he referring to a specific mystical experience? Perhaps he is writing in a symbolic fashion, but there is a possibility that he is describing an extraordinary mystical phenomenon that we find in the lives of some of the greatest saints. What you say is indeed true. Jesus has been “hunting” me during these past days, trying to wound my heart with His arrows of love. He has been so gentle, so patient, tender, loving, I do not know at times where to turn, and yet I somehow feel that much of this grace is given me for others, I know it has helped souls and lifted them close to Jesus. It was our Lord’s will that in this vision I should see the angel in this way. He was not large, but small of stature, and most beautiful—his face burning, as if he were one of the highest angels, who seem to be all of fire: they must be those whom we call cherubim. Their names they never tell me; but I see very well that there is in heaven so great a difference between one angel and another, and between these and the others, that I cannot explain it. I saw in his hand a long spear of gold, and at the iron’s point there seemed to be a little fire. He appeared to me to be thrusting it at times into my heart, and to pierce my very entrails; when he drew it out, he seemed to draw them out also, and to leave me all on fire with a great love of God. The pain was so great, that it made me moan; and yet so surpassing was the sweetness of this excessive pain, that I could not wish to be rid of it. The soul is satisfied now with nothing less than God. The pain is not bodily, but spiritual; though the body has its share in it, even a large one. It is a caressing of love so sweet which now takes place between the soul and God, that I pray God of His goodness to make him experience it who may think that I am lying. Are Fr Doyle and St Teresa speaking of the same mystical experience, albeit using different terminology? In the later editions of his biography, Alfred O’Rahilly included some information not found in the earlier editions. 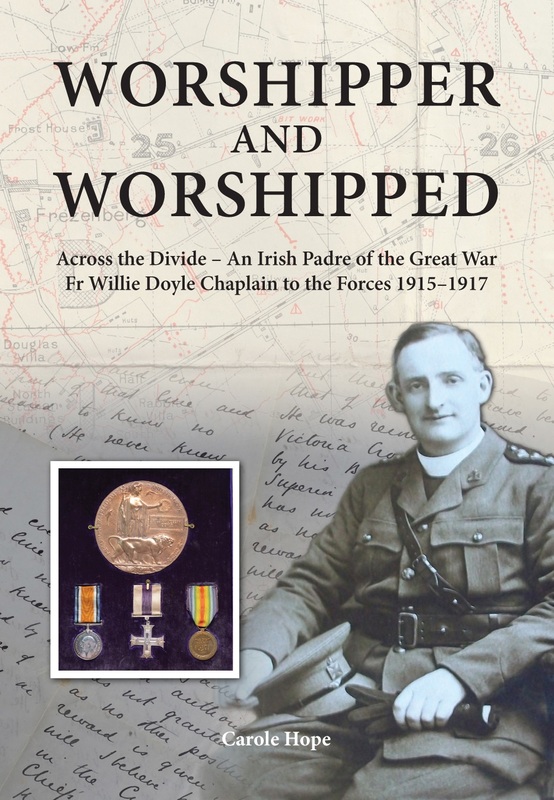 Fr Doyle gave spiritual direction to an unnamed nun who O’Rahilly described as a “privileged penitent”. By this he means that she received many graces herself from God. It seems that as well as directing her, Fr Doyle also spoke to her of his own spiritual life. This nun sent the following in a letter to O’Rahilly, presumably in an attempt to explain Fr Doyle’s “wounding”. In response to inspirations received directly and indirectly from Jesus, he strove, notably for seven or eight years before he died, to ‘put on Jesus Christ’, to model his life on the Priest-Christ, to be, as far as it was humanly possible, ‘another Christ’. This was the secret spring of his holiness. It was not a simple attraction, not a mere fad, but a forming of a life of priestly holiness, distinctly asked for and expressed by Christ. He heard with attention the first invitation: ‘Model your life on Mine, lead a perfect life’. And as if to secure a faithful response, Jesus seemed in the year 1910 to have planted in his heart a spark of divine love. This was the ‘sweet wounding’, a grace like to that received by St Teresa, of which he complained…Jesus infused into his souls some of his own passionate love for souls; and it was this passion that made him seem to do rash things. It was the ‘charity of Christ’ that urged him, and he did nothing through mere caprice or impulse. Such lofty heights in the spiritual life are hard for most of us to appreciate and understand. There may be extraordinary phenomena in the advanced stages of the spiritual life, and it is surely difficult for our ordinary language to explain them and even more difficult for us to begin to understand them. And perhaps, in this age of doubt and confusion, it may even sometimes be difficult to believe them. 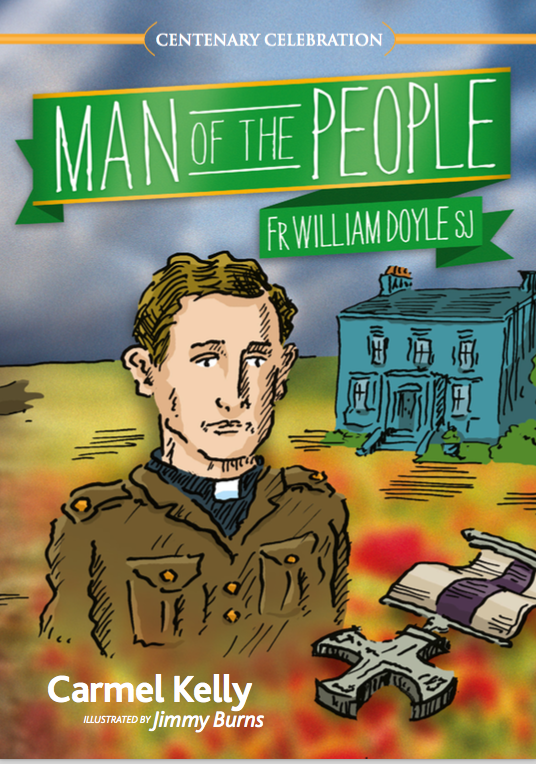 What we can at least say about Fr Doyle is that he received many graces from God (how else could he do what he did?) and that there is evidence which suggests that some of these were very great graces. And if those great graces did actually involve a mystical wounding of his heart, then he is in good company with many of the greatest saints and mystics in the history of the Church. But we may never actually know the truth of the matter. Such a determination is of course not mine to make – it rests with the Church. 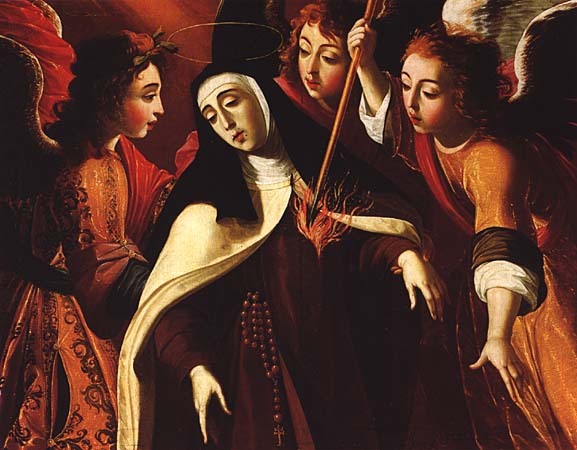 Some final, consoling thoughts for those of us who plod along as best we can: St Teresa reached incredible mystical heights despite the fact that she only truly reformed her life at 40, having even given up prayer altogether for a whole year at one stage. Special mystical experiences are not necessary for holiness; just think of the darkness that Blessed Teresa of Calcutta lived in for decades. We should have confidence that, if we continue to progress towards God, no matter what setbacks or diversions we encounter, He will continue to give us all the graces we need to reach Heaven.